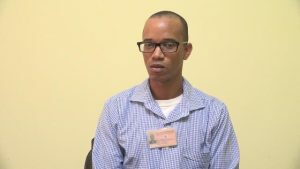 The Department of Physical Planning and Environment in the Nevis Island Administration (NIA), in collaboration with the Caribbean Development Bank (CDB), will host a one-week seminar to improve practices among contractors of small buildings, as it seeks to implement a harmonised code for construction in the Caribbean region. In an important meeting on Thursday 27th September 2018, Caribbean Community (CARICOM) Foreign Ministers met with Deputy Secretary of State H.E. John Sullivan. Hon. 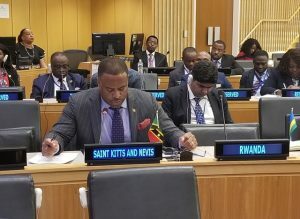 Mark Brantley, St. Kitts and Nevis Foreign Minister, participated in the Commonwealth Foreign Affairs Ministers Meeting held on Thursday 27th September, 2018, within the margins of the United Nations General Assembly. 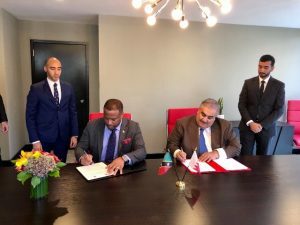 St. Kitts and Nevis established diplomatic relations with the Kingdom of Bahrain on September 27th, 2018, in a brief signing ceremony. In a bilateral engagement with the US Principal Deputy Assistant Secretary of State, Ambassador Kenneth Merton, Hon. 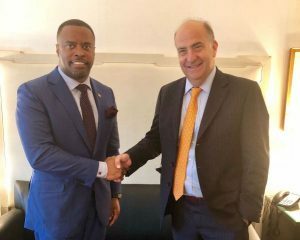 Mark Brantley, Foreign Minister of St. Kitts and Nevis thanked the US Government for the visa interview waiver, a policy change that has a significant impact in St. Kitts and Nevis.